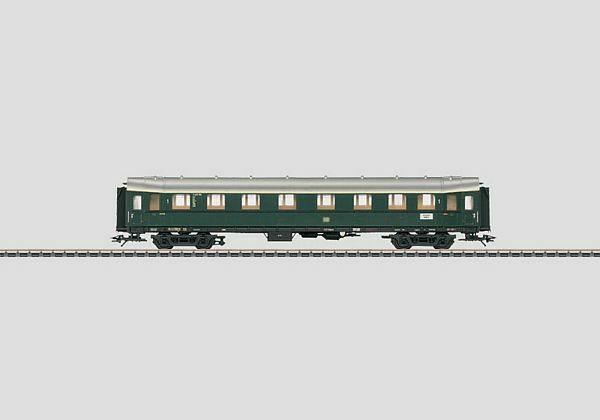 Prototype: German Federal Railroad (DB) "Hechtwagen" / "Pike Cars" compartment car, 1st class. Type A4ü. The car looks as it did around 1959. A similar model in a DC version can be found in the Trix H0 assortment with Era IIIa lettering under item no. 23383.